Mom loves being a mom because of her children. 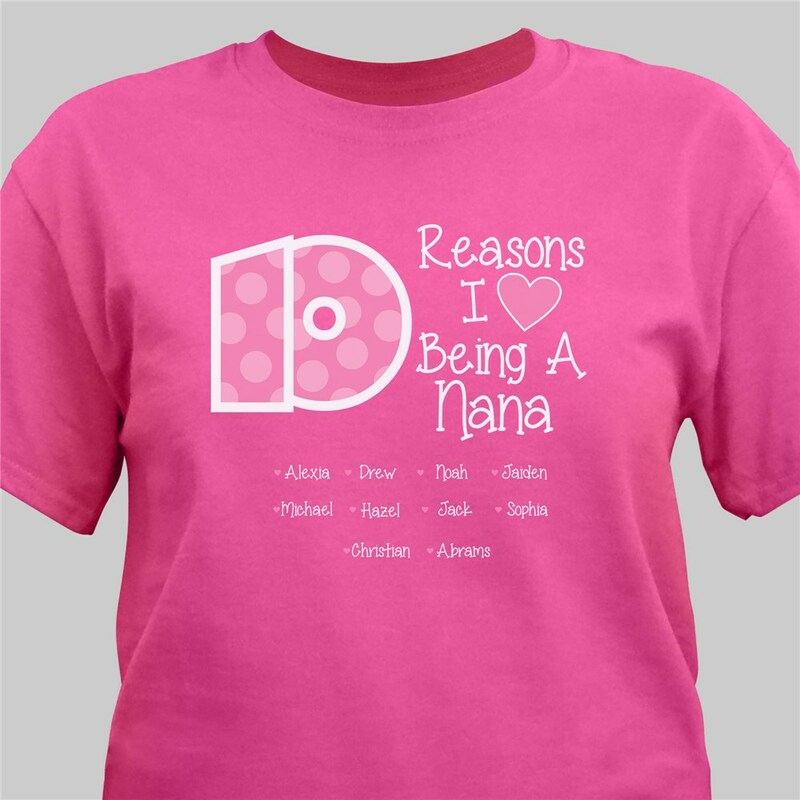 Give her an extra reason to smile by creating a personalized Reasons I Love t-shirt just for her. 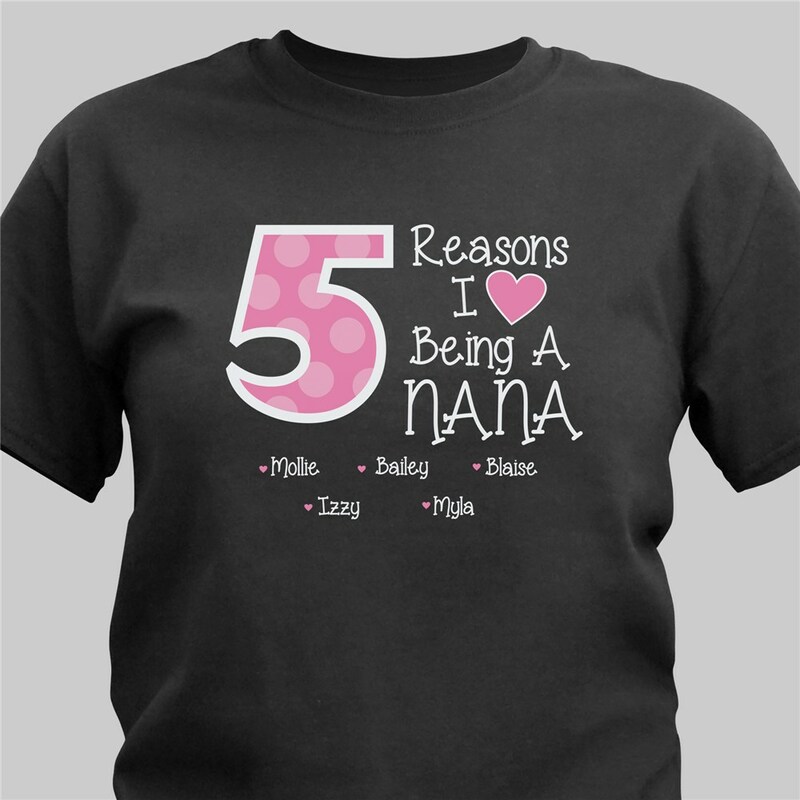 Custom Mommy T Shirts can be personalized for anyone - grandma, aunt, teacher - with any title and then it will be customized further with any number and amount of names. Reason to choose this design: She'll love it! It looks nice but I haven't worn it yet. The shirt came out great, I could not be any happier with than I am right now!!! Thank You!!!! 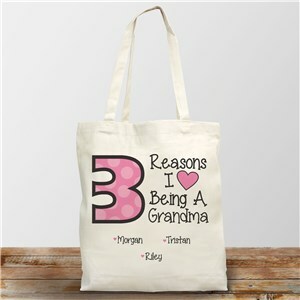 Mom loves all her personalized Mom and Grandma shirts and has multiple designs. although they hold up well I do have to replace them occasionally as she wears them so often. Additional Details Shop more adorable mommy t-shirts that make for great personalized Mother's Day gifts!